During the worst part of the Great Recession, virtually every segment of the U.S. economy was adversely affected. 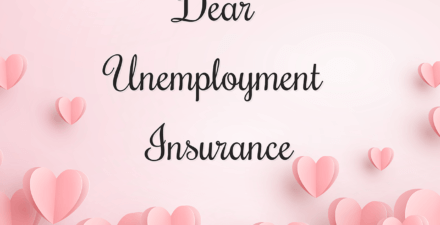 Employment losses were severe and unevenly distributed, making many likely to be eligible for unemployment insurance. 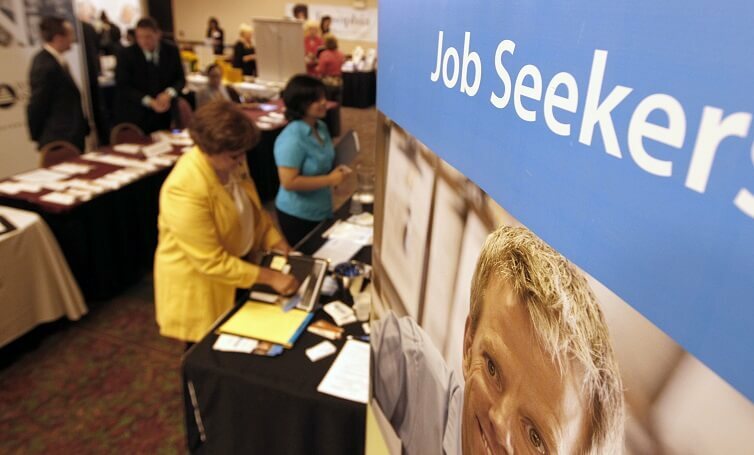 The program is supposed to support the unemployed as they search for a new job. But what happens when someone can’t find a job before his or her benefits expire? The consequences could be dire. In an important new paper, economists Jesse Rothstein of the University of California, Berkeley and Robert Valletta of the Federal Reserve Bank of San Francisco investigate the role that unemployment insurance plays in supporting family incomes and how the unemployment insurance system interacts with other parts of our social safety net. 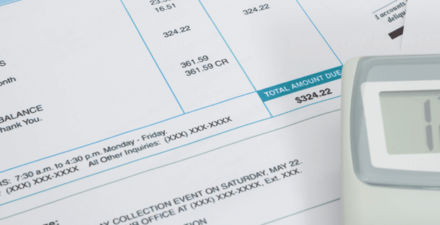 The unemployment insurance system is designed to provide temporary income to workers during spells of unemployment. The typical duration of these benefits—individual states have broad latitude in setting the exact details in each state—is 26 weeks or less. But during and after the Great Recession, many states extended eligibility to up to 99 weeks. The Supplemental Nutrition Assistance Program, for example, made up for only about 2 percent of pre-job loss income in households that tapped unemployment insurance and then about the same 2 percent after they lost unemployment insurance benefits. It’s important to note that household consumption may not have fallen as dramatically as income over the period of job loss and unemployment exhaustion. But given the evidence that more than half of American families could not replace a month of their income with liquid savings and that one-third have no savings at all, it is difficult to see how households would be able to maintain their standards of living. The bright side of these findings is that unemployment insurance does its job: partially insuring against large income declines after a job loss. But once an unemployed worker is no longer eligible for the program, the rest of the social insurance system does little to support those households. 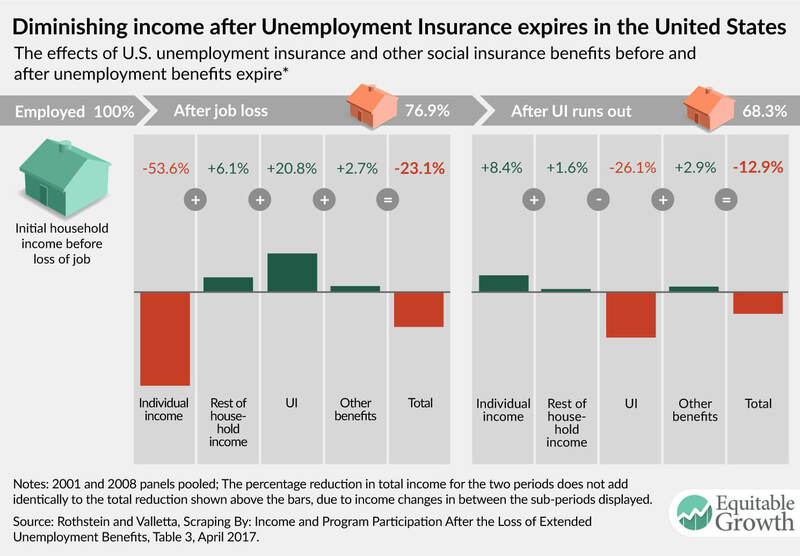 Other new research shows the significant decline in income and spending that happens after unemployment benefits are exhausted. 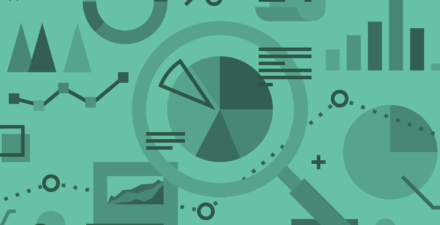 If policymakers want to ensure that U.S. workers can have some modicum of economic security during the next economic downturn, they should take this research to heart.